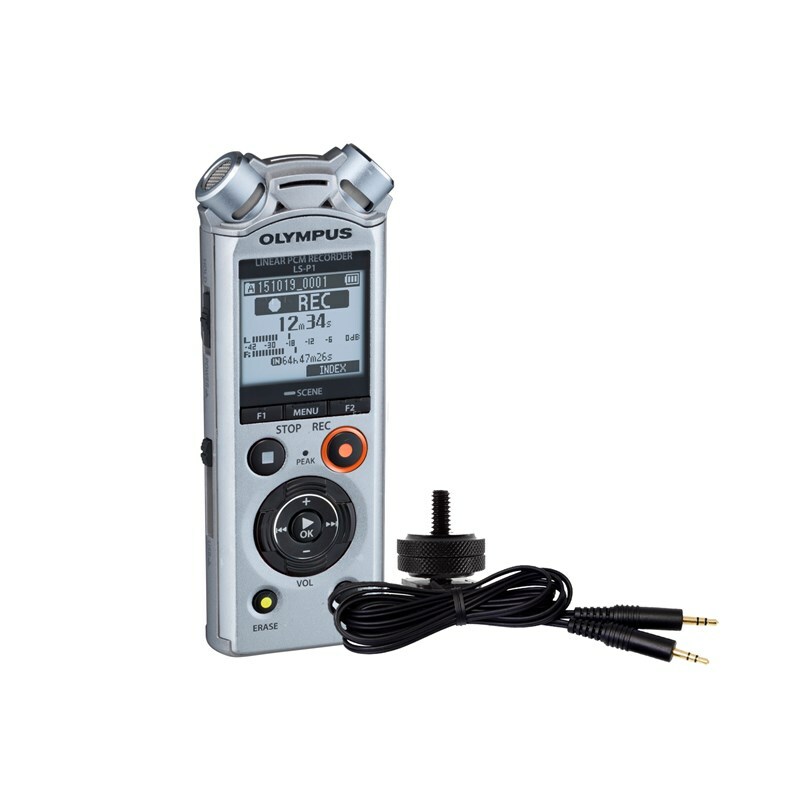 The silver 4GB Olympus LS-P1 is a portable handheld digital audio recorder intended for capturing interviews, speeches, music, and sound effects in compressed, standard, or high-resolution formats. It features selectable recording modes and noise cancellation, an 18mm dynamic speaker, and an 1/8" headphone output. Use the built-in, low-noise stereo microphones or connect an external mic to the 1/8" mini-jack input. Record to the 4GB internal memory or your own microSD cards in uncompressed PCM format at up to 24-bit/96 kHz resolution or compressed MP3 format at up to 320 kb/s resolution.